Fig. 31. 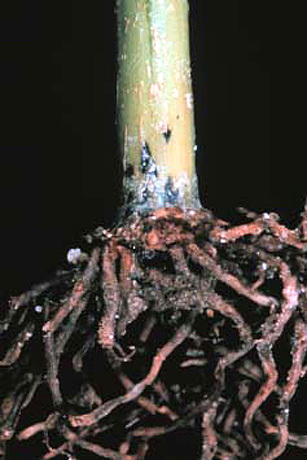 Close up of lower stem with longitudinal cracks and discolored roots caused by T. basicola.